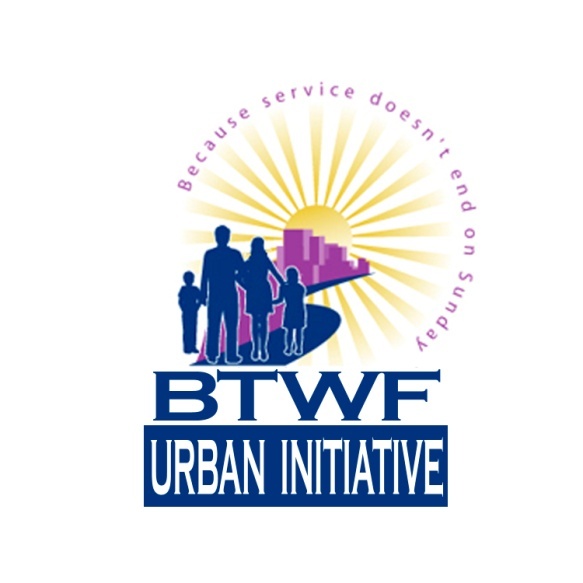 About us: BTWF Urban Initiative is a volunteer-based, IRS 501(c)3 tax-exempt, not profit corporation established by the Believers Temple Word Fellowship to mobilize members of our congregation and to meet the practical needs of families in our community. Urban Initiative is governed by an independent Board of Directors and funded by grants and individual tax-deductible donations. Our Mission: The mission of the Urban Initiative is to provide comprehensive programs, services, and events that address the most pressing needs of youth, families, individuals, and stakeholders in our community. Our core focus has been in four key areas: education, positive youth development, healthy living and community and economic development. Our Vision: BTWF UI is the leading community organization that achieves social change through empowerment. Mentoring MEN in Transition – Every 1st and 3rd Mondays and Wednesdays. Open basketball court for males throughout the community ages 15-23 every Tuesday 7pm – 9pm. Monthly motivation group talks from community leaders. Event held once a year. Goal is to impact the lives of Single Parents (Women & Men) at BTWF and in our community by providing networking resources. Help with resume writing. Free hair styles, manicures, dinner & gifts for parents & children. Once a year fun interactive outreach event that provides basic education & preventive medical screening for the community. Free food, soda, water & resources provided. Event held in August. UI and JfL partnership. Goal is to help prospective job candidates to overcome employment barriers by completing a 16 session life skills course. New & gently used clean clothes & shoes for men, women, boys and girls of all ages. Open after church services and for emergencies. Summer week of educational and cultural development that allows children (ages 5-12) to take healthy risks in a safe and nurturing environment. Six weeks of free tax services offered to low income families. Begins in January. Continental breakfast & lunch provided to all TAP volunteers each week. Provide monetary scholarships that will encourage, support and promote the continuing education of local area high school qualified graduates. Resource opportunities provided, fun activities, college representatives, refreshments and more. 4 hour event held yearly. Partnership with Jennings School District to provide classroom and after school tutors throughout the school year. Goal is to help 6 to 10 selected families with new Christmas toys and gifts. Families are selected from Ferguson community and from the church..
A comprehensive youth development program designed to effective empower and educate young people to face and overcome social and community challenges through bi-monthly workshops and education enrichment activities.